Essential Fitness, LLC | Keeping Your Lifestyle Active. Any workouts purchased in 2018 must be used during the course of the calendar year (2018). 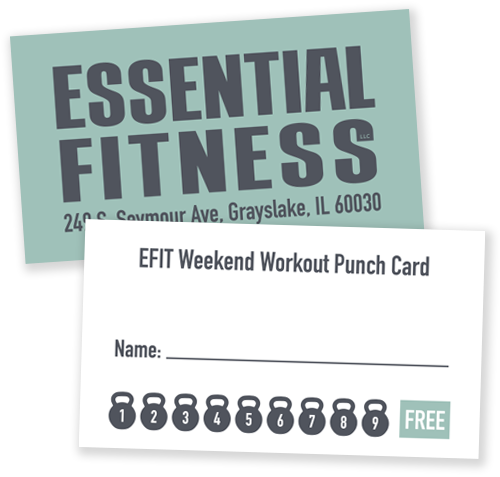 Each person will have a punch card that we will use to track each event that he or she has participated in. There will be nine (9) workouts (Please see “EFIT Weekend Workouts“) to choose from with this package. You may choose whichever workout that you would like to participate in based on what works best for your needs.